DP: No, I think the foreign forces will continue to go after them. As I'm suggesting, the split has more to do with internal matters. It might be accompanied by actual changes in policy and behavior and personnel – who knows? I suspect it's more than just simply PR change. There is likely to be an effort to reach out to other groups, to accommodate, to be more flexible. 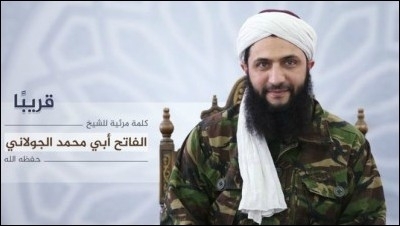 Jabhat al-Nusra leader Abu Muhammad al-Jowlani announced on July 28 that his group was splitting from al-Qaeda. In other words, instead of being part of a global organization and being given orders from abroad, it can now make its own decisions locally and be more flexible as a result. Yes, there is a PR component, but I think there is also a potential substantive component to it.